Alpha Construction installed this 36 in. water main pipe crossing wetlands in Port Wentworh, Georgia. 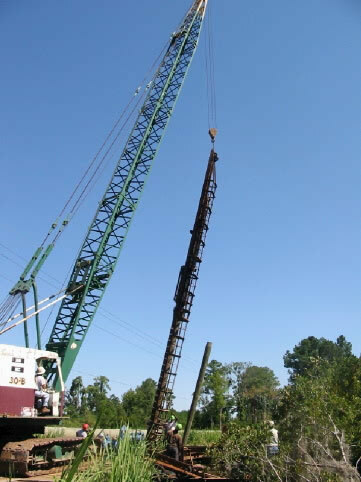 The pipe line is supported by concrete caps and timber piles. The concrete caps allow for a future pipe.